Police have identified an 86-year-old woman who died when her car left the road, overturned and ended up in a field in the Borders. 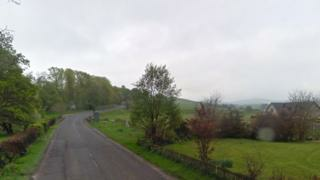 Joan Mellors, of Peebles, suffered fatal injuries in the accident on the A701 near West Linton on Wednesday. She was driving the silver Honda Jazz involved in the crash. Her 84-year-old passenger suffered "non life-threatening injuries". Police are continuing their inquiries and have appealed for witnesses.